CLOSER COOPERATION? In a new NUPI policy brief, Senior Advisor Karsten Friis and Junior research fellow Maren Garberg Bredesen analyze opportunities for a closer defence cooperation between Sweden and Norway. 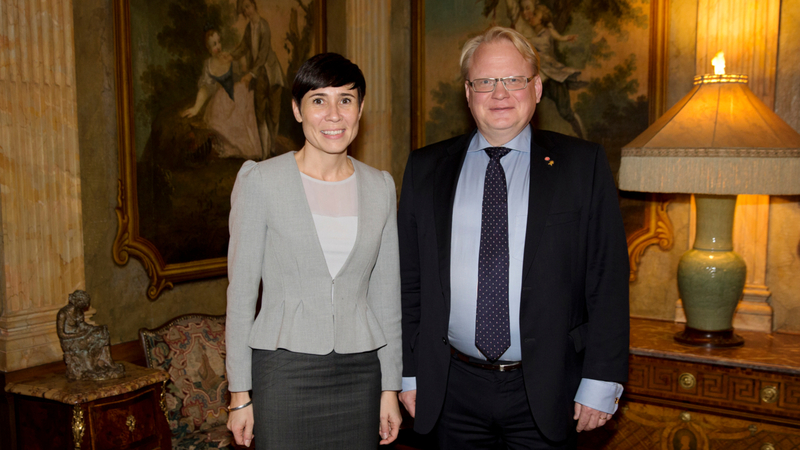 Here are Norwegian Minister of Defence Ine Eriksen Søreide with Swedish colleague Peter Hultqvist. 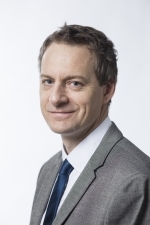 Swedish-Norwegian Defence Cooperation: New opportunities? Having encountered rough seas in recent years, the cooperation now seems to have entered smoother waters. 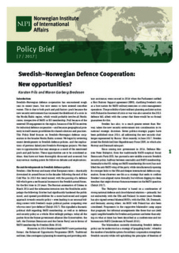 In this new policy brief, ‘Swedish-Norwegian Defence Cooperation: New opportunities?’, Senior Adviser Karsten Friis and Junior Researcher Maren Garberg Bredesen argue that new opportunities lie ahead of Norway and the neighboring country Sweden when it comes to bilateral defence cooperation. While Swedish-Norwegian defence cooperation has seen several setbacks in recent years over failed projects in joint acquisition and procurement, the authors have identified several emerging push and pull factors that might infuse the relationship with new energy. 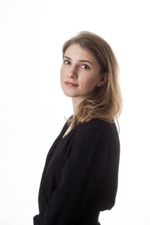 Push because the new security environment has increased the likelihood of a ‘below Article 5-crisis’ in the Nordic/Baltic region, which would probably involve all Nordic states, irrespective of NATO or EU membership. Pull because of the renewed US engagement in the region, the EU incentives for industrial defence cooperation – and geographical proximity, which in itself creates possibilities for shared solutions and practices. These push and pull factors also come against the backdrop of some dramatic shifts in Swedish security policy in recent years: In 2014, the Russian annexation of Crimea and increased assertiveness in the Baltic Sea opened political possibilities in Sweden for a more hard-nosed and urgent approach towards security policy. Since, the so-called Hultqvist doctrine in Swedish security and defence policy has allowed for a combination of strong national defence and close bilateral relations, primarily with the USA and Finland, but also with other European countries and NATO. In 2016, the Swedish parliament ratified an agreement clarifying Sweden’s role as a host nation for NATO military exercises or operations. Norway has just recently deployed a military contingent to Lithuania as part of NATO’s Enhanced Forward Presence in the Baltics and Poland, thus increasing the strategic and operational interdependency across the Nordic region – and between Norway and Sweden. 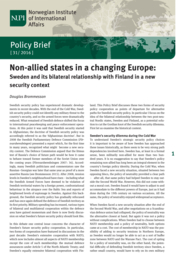 The authors therefore ask: How might the new security context provide opportunities for Swedish–Norwegian cooperation on security and defence? Ultimately, they argue, the Nordic region constitutes one strategic space and cooperation should be pursued with an eye to greater security and operational effects. This includes the areas of cross-border training (CBT), multinational military cooperation, situational awareness in context of hybrid and grey-zone scenarios, and exercises for operations in the Nordic strategic space. The project looks closer on Norway’s cooperation with the other Nordic countries, with a particular focus on Nordic Defence Cooperation (NORDEFCO).